Location is great. Room was clean. WIFI is not great. Bathroom fan was noisy. Free breakfast isn't fancy but gets you on the road! Overall for the $ a decent deal. Where to find Sainte-Helene-de-Bagot hotels near an airport? Where can I find hotels in Sainte-Helene-de-Bagot that are near tourist attractions? If you plan to book accommodation near downtown Sainte-Helene-de-Bagot, there are a limited number of options. 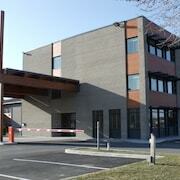 Sainte-Helene-de-Bagot offers 2 accommodation options within a 0.1-kilometre (0.06-mile) radius of the center of town. 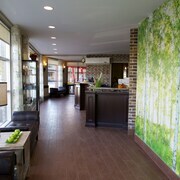 A great option if you are looking to stay near the middle of Sainte-Helene-de-Bagot, is the Days Inn Ste. Hélène-de-Bagot. 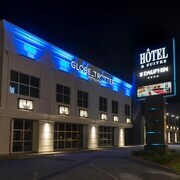 The Holiday Inn Express Hotel Saint - Hyacinthe is positioned 19 kilometres (12 miles) from the middle of Sainte-Helene-de-Bagot. 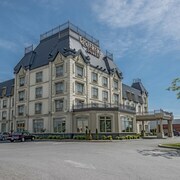 Another accommodation option is the Hôtel Le Dauphin Saint-Hyacinthe, which is positioned 20 kilometres (13 miles) away. 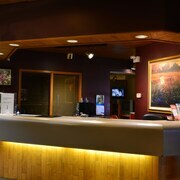 If you'd prefer, you could check out the amenities and rates at the Best Western Plus Hotel Universel Drummondville or the Quality Suites Drummondville. After you have enjoyed Sainte-Helene-de-Bagot, why not take the time to explore the other cultural and scenic attractions of the Montreal - Monteregie area. Montreal - Monteregie is known for forests, rivers and lakes. Commonly visited Montreal - Monteregie tourist destinations include old towns. Common pastimes in this particular part of Canada include skiing and cross-country skiing. 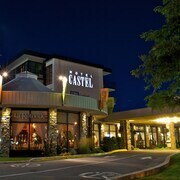 The nearest places to spend the night in Saint Hyacinthe include Saint-liboire and Saint-Charles-sur-Richelieu. Saint-liboire is 5 kilometres (3 miles) to the southwest of Sainte-Helene-de-Bagot, while Saint-Charles-sur-Richelieu is 35 kilometres (22 miles) to the west. 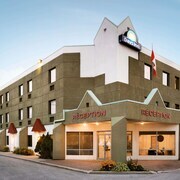 Saint-liboire accommodations are the Hôtel LaLiberté and Days Inn Ste. Hélène-de-Bagot. While hotels include the Auberge Handfield and Gite du passant Aux Rêves d'Antan. Before you say goodbye to Saint Hyacinthe, why not make sure you experience some local sport. Visit Olympic Stadium to the west of Sainte-Helene-de-Bagot. Those wanting to find a room or apartment close to the stadium can take their choice from the Auberge de La Fontaine or the Loft Hotel. Pierre Elliott Trudeau International Airport is a logical airport for flying into and leaving Sainte-Helene-de-Bagot. It is 85 kilometres (53 miles) drive away. If you would like to stay nearby, try the Montreal Airport Marriott In-Terminal Hotel or Hampton Inn & Suites by Hilton Montreal-Dorval. What are the most popular Sainte-Helene-de-Bagot hotels? Are there hotels in other cities near Sainte-Helene-de-Bagot? 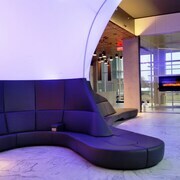 What other types of accommodations are available in Sainte-Helene-de-Bagot? Explore Sainte-Helene-de-Bagot with Expedia.ca’s Travel Guides to find the best flights, cars, holiday packages and more!